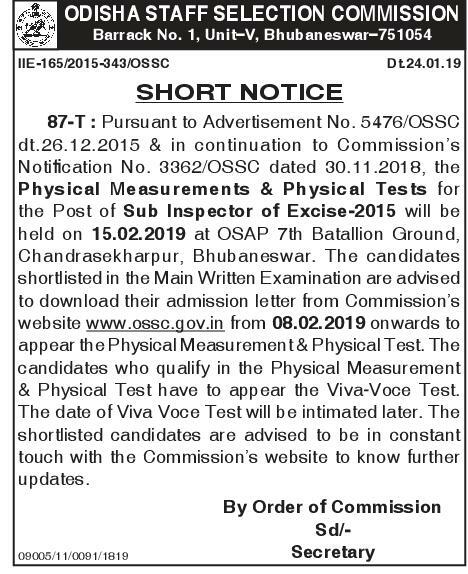 OSSC Published Physical Measurements & Physical Tests Date for the Post Of Sub Inspectors of Excise - 2015. Those Candidates Qualified Mains Exam are Eligible for Physical Test. Qualified Candidates Can Download their Admit Card from Official Website.